Complete with soft case and silver-plated mouthpiece. 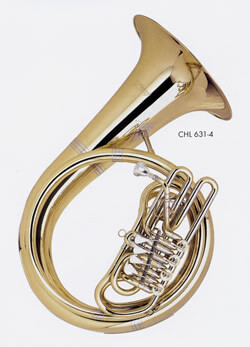 I just received the helicon and it's realy great. Thank you. The Helicon has arrived and is very beautiful! Thank you so much. 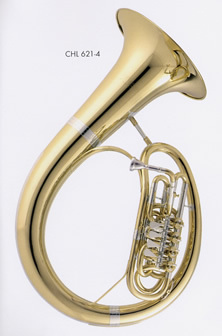 It responds better than any tuba I have purchased. The upper partials pop out with little effort and are tuned beautifully. The Valve action is quick and quiet. The soft case makes it easy to get to gigs. The hard case is well designed and easy to get around.